Here in the Florida Panhandle and lower Alabama, disaster preparedness and evacuation planning is essential to providing pharmacy services. As a pharmacy service provider, Guardian Pharmacy of NWFL must have a plan in place in the event of a natural disaster, in order for us to provide quality care for each of our customers, especially during hurricane season. 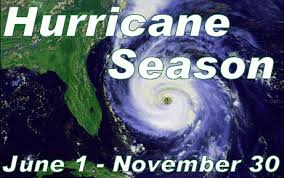 Hurricane season runs from June 1st through November 30th each year. Because of the location of our pharmacy and the location of the customers we service, responding to a disaster timely and effectively is essential. State regulations require each community, as well as the pharmacy provider to develop disaster plans. In recent years, these plans have been most important. Communication, staffing, transportation and evacuation planning are the most vital issues to consider. Many times relocating is not an option. For this reason, sheltering in place must be considered first. However, when an evacuation becomes necessary, communicating this to all service providers should be at the top of the list of things to do in an emergency. Having a pharmacy provider that has multiple locations, like Guardian Pharmacy does here in the state of Florida, may be an added benefit. What if the pharmacy area must be evacuated as well? For Guardian Pharmacy, having six locations in Florida, has been useful with evacuations in the past. We have been able to rely on our Guardian – Jacksonville location when we have had residents evacuated to other areas. Having a database that multiple pharmacies can access has helped ease the process of relocation. If you have any concerns within your community regarding disaster preparedness, Guardian Pharmacy of NWFL would be more than happy to help you design a preparedness plan that best suits you. Give us a call at 850-306-3003 to help. Many thanks to all of our customers here in the Florida Panhandle and lower Alabama.